I started off quite well on the track, but know that I am most definitely not on form at the moment. My knee still hasn’t recovered from my accident. My average pace was 5:28/km. This was a little disappointing, considering that I’ve run a half marathon at an average pace of 5:18/km, but it wasn’t surprising. I like running on the track. It’s not something I would want to do all of the time, but it’s fun to pass (and be passed by) other people. Also, the smooth surface meant that I didn’t have to worry as much about tripping and injuring my knee again. After I’d finished my track session, I went for a cool down jog with Stuart in the area surrounding the track. Stu wanted to recce areas where he could take his running group. I was interested in the Trim Trail signs and intend to follow it around at some stage! 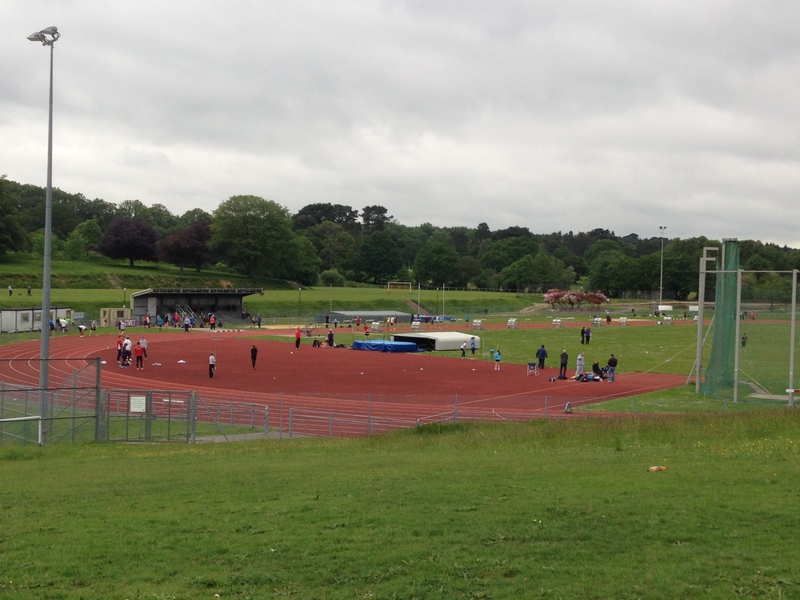 Do you like track running? 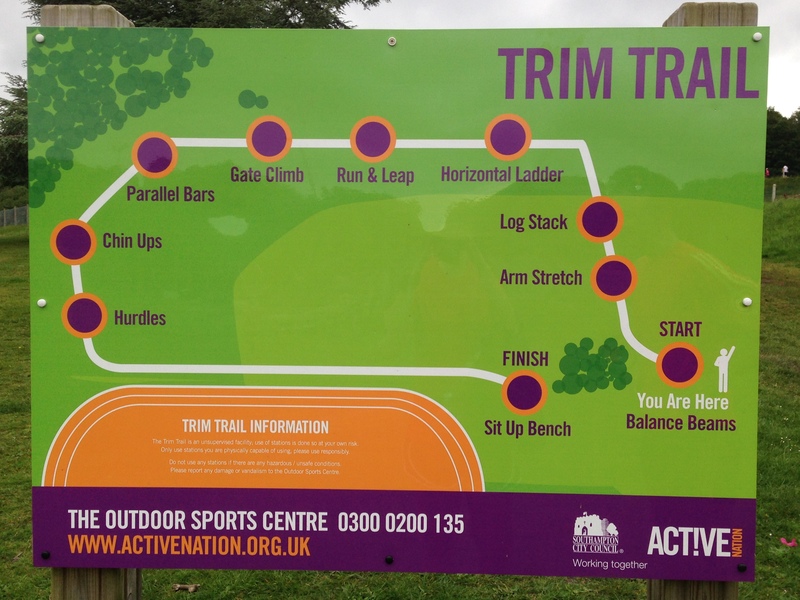 Have you tried a trim trail? Is there one in your local area? The Trim Trail is actually quite fun. It’s a nice resource. The hurdles are tough on the highest setting, so be careful to set them right. I’m also not so sure about the sit up bench, but overall it’s got a good variety. I definitely want to go and try it out at some stage. If Huw doesn’t break me on Tuesday evening at the track, then I might have a walk around it and check it out. Sadly, I think a couple of the items have been vandalised, but I think most of it is OK.